Combining a small-footprint antivirus with integrated patch management and Mobile Device Management (MDM), VIPRE Business Premium helps you take charge of your endpoint security. Our premier business antivirus protection addresses the #1 threat businesses of all sizes face today – unpatched software – and the biggest disruption to the enterprise IT landscape in more than a decade: the proliferation of mobile devices in the workplace. 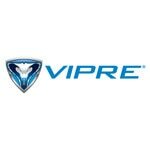 VIPRE is the virus protection solution for more than 10 million PCs worldwide.